Daniel Brockman, BVSc CertVR CertSAO DACVS DECVS, is a Professor of Small Animal Surgery and Head of CSS at The Royal Veterinary College in the UK. He joined the Queen Mother Hospital as a Lecturer in Soft Tissue Surgery in October 2000 and was awarded his Professorship in 2007. Prior to joining the Queen Mother Hospital, Dr. Brockman was Assistant Professor of Surgery at the University of Pennsylvania. Alison Young, DAVN (Surgery), VTS (Surgery), RVN is the head theatre nurse at the Queen Mother Hospital for Animals at the Royal Veterinary College in the UK. She joined the Queen Mother Hospital in 2001 as a general surgeon. In 2003, Young joined the theatre nursing team and studied for the Diploma in Advanced Veterinary Nursing (Surgical) where she gained the highest marks for that year. In 2013, she became the first person outside of the US to pass the Veterinary Technician Specialist qualification in Surgery. She has written articles for nursing journals within the UK and book chapters focusing on theatre and surgical nursing. Surgery is frequently performed in small animal practice with operations ranging from routine elective sterilization procedures to complex urgent or emergency procedures. In order to manage the surgical patient in an optimal way, the clinical team will need to be in command of every aspect of the animal’s management. This process begins with an accurate diagnosis whenever this is possible and includes carefully considered conversation with the animal’s owner so as to gain informed consent for the intended procedure. In addition, sufficiently detailed communication with those involved with the in-hospital care needs of the animal must take place so that the nursing and surgical teams can deliver preoperative, intra-operative, and postoperative care that is both thorough and tailored to that animal’s needs. 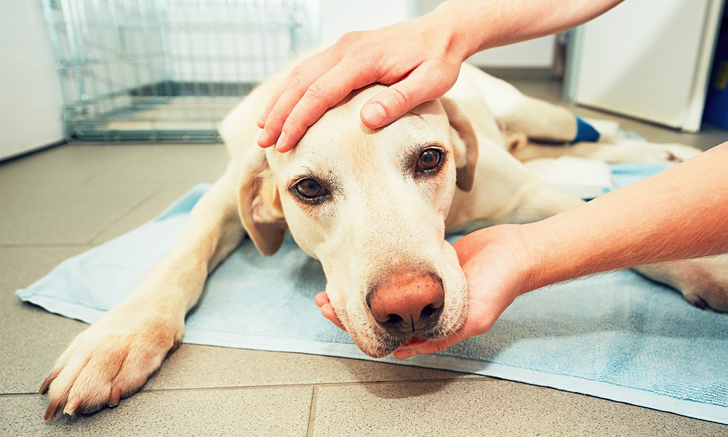 Finally, the home-care requirements and any follow-up appointments will need to be explained to the animal’s owner at the time of discharge, so that the ongoing recovery can be carefully managed and any complications identified quickly and addressed appropriately. From a medical perspective, an accurate diagnosis and selection of the appropriate surgical procedure are critical, as is the proficient performance of anesthesia and the surgical procedure as well as careful, postoperative care. The true foundation of a successful patient journey, however, is in the way communications surrounding the treatment happen, and the detail they contain. Prior to admission of the animal, the veterinarian should make it clear to the owners, in lay terms, what procedure(s) are going to be performed on their pet, what the intended outcome should be, what potential unintended outcomes or complications may occur (ie, the hazards of such an intervention), and the time gap until the next communication about their pet’s progress. Ideally, all owners should then provide their informed consent to the procedure, in the form of a signed “consent” form that identifies the animal and owner, names the planned surgical procedure, contains an estimate of cost, and mentions the more common potential complications. Prior to admission, the animal should be fitted with a temporary identification collar. The acquisition of a complete medical history from the pet owner is essential. For healthy animals undergoing elective surgery such as sterilization, this serves to ensure that the animal is suitably “ready”; so, vaccination history, worming history, and recent feeding history must be established at admission. For sick animals, this is the first step to learn what might be wrong and will inform subsequent investigations and diagnostic tests. Although this can be time consuming, careful attention to the historical features of disease can yield massive benefits in terms of definition and refinement of the “problem list” and organ system involvement. Thiemen KM. Checklists: An answer to avoiding mistakes. Clinician’s Brief. 2011;9(11):23-26. Brown DC, Conzemius MG, Shofer F, Swann H. Epidemiologic evaluation of postoperative wound infections in dogs and cats. J Am Vet Med Assoc. 1997;210(9):1302-1306. Berrisford RG, Wilson IH, Davidge M, Sanders D. Surgical time out checklist with debriefing and multidisciplinary feedback improves venous thromboembolism prophylaxis in thoracic surgery: a prospective audit. Eur J of Cardio-Thoracic Surg. 2012;41(6):1326-1329. LeTexier, R. Coming clean on home laundered scrubs. Infection Control Today Web site. Posted October 1, 2001. http://www.infectioncontroltoday.com/laundry/coming-clean-home-laundered-scrubs. Accessed February 9, 2018. Shen NJ, Pan SC, Sheng WH, et al. Comparative antimicrobial efficacy of alcohol-based hand rub and conventional surgical scrub in a medical center. J Microbiol Immunol Infect. 2015;48(3):233-328. This article is published as part of the Global Edition of Clinician's Brief. Through partnership with the World Small Animal Veterinary Association, the Global Edition provides educational resources to practitioners around the world.